Russia and the European Union have ushered in a new era of visa-free travel. Russian negotiators hope that the first stage of the process will take no more than a year. At the same time, the lifting of visa requirements will be conditionally based on Russia’s observance of human rights, freedoms and the rule of law. Following lengthy discussions, the EU-Russia summit held in Brussels on Dec. 14 and 15 approved a list of mutual steps to cancel visa requirements for short-term trips by Russian and EU citizens. “This is a solid and ambitious text. We are now working towards our shared goal of approving the list of joint steps and beginning to implement them at the summit,” said Catherine Ashton, EU High Representative for Foreign Affairs and Security Policy. In the final draft of the document, Russia and the EU agree to implement under mutual control a broad list of “joint steps” divided into four sections. The first section, titled, “The protection of documents including biometrics,” covers the introduction of biometric passports that meet the requirements of the International Civil Aviation Organization. It also obliges the parties to ensure rapid and regular transfer to Interpol the details of lost and stolen documents as well as to exchange information pertaining to fake passports. 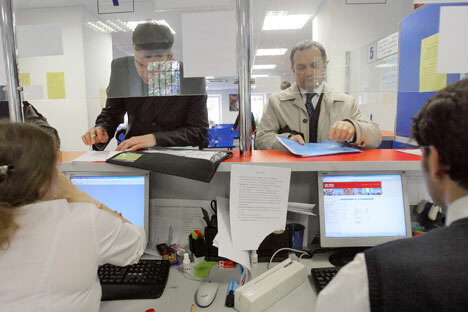 Among other things, Russia and the EU have agreed to boost anti-corruption measures, including the ethical standards for government officials related to the identification management system. Another section, “Illegal immigration including readmission,” focuses on joint efforts to fight illegal immigration and related offenses. Russia and the EU are working to develop a data collection and analysis system in order to assess border management risks. This section also provides measures against document falsification and corruption amongst public border protection employees. The section “Public order, security and legal cooperation” lays out a mechanism for fighting cross-border crime, terrorism and corruption. Lastly, the section “External relations” is devoted to ordinary citizens by pointing out the need to ensure freedom of movement for Russian and EU nationals on an equal basis and to cooperate in pursuing an anti-discrimination policy, protection of persons belonging to minority groups and the fight against hate crimes. The responsibility for managing and implementing these commitments falls equally on Russia and the EU, which means that they both will be able to control their mutual compliance with the given measures. According to the Russian Foreign Ministry, joint steps do not have to be signed, and so Russian President Dmitry Medvedev and European Council President Herman Van Rompuy simply announced their launch. Both Russia and the EU consider the completion of the document a major achievement. Throughout the past month, diplomats have worked not on the content of the steps so much as they have on the wording of follow-up measures. In the end, the final draft features compromises and somewhat uncertain wording: “As soon as the joint steps have been implemented, the parties, in accordance with their internal procedures, will decide on starting negotiations on an agreement to lift visa requirements.” Translated from diplomatic language, this means that while Moscow is prepared to start the negotiations at any time, the EU will need to confirm its position with all of its member states first. Meanwhile, the approved document contains one phrase that might effectively destroy all of Moscow’s efforts to secure visa-free European travel: The final section of the document states that when discussing lifting visa requirements, the parties will take into account "interrelations between the evolution of migration flows and the protection of human rights and fundamental freedoms, as well as compliance with the rule of law.” This primarily refers to Russia, where the situation with respect to human rights protections and the rule of law is far from ideal by EU standards. Indeed, this is confirmed by the EU’s reaction to Russia’s parliamentary elections earlier this month. The EU Parliament recently issued a statement saying that the elections did not meet international standards as “free and fair,” and called for Russia to hold new elections as soon as possible.